We are setting up and getting ready for July 4, 2018. A ton of new fireworks are in stock and ready for a great celebration. Remember to come by Big Bertha’s Discount Fireworks™ for the best selection and cheapest prices around! And check out our new flyer! 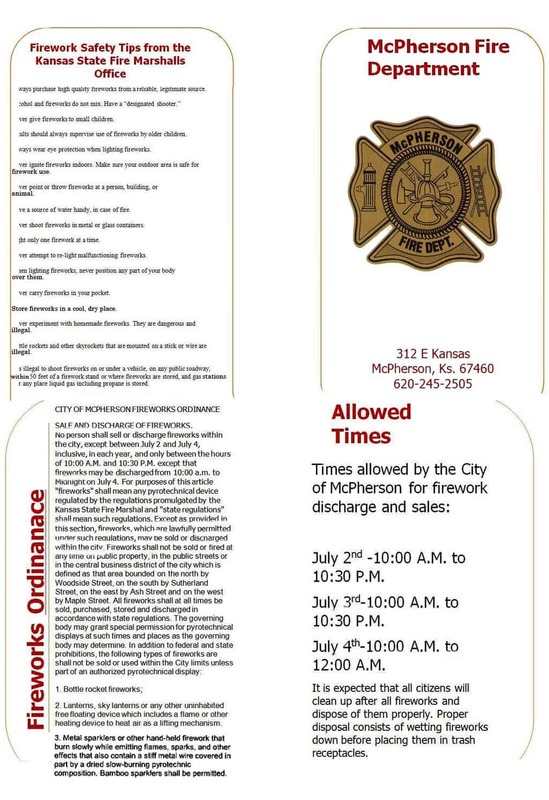 All fireworks sold at Big Bertha’s can be shot in the city of McPherson and in McPherson County. And, of course, Big Bertha’s has many SAFE and SANE products for you to buy and enjoy! Reno County, Hutchinson, and Wichita Fireworks Safety Regulations state that only SAFE and SANE products may be sold and shot in the city and county. The requirement in Reno County, Hutchinson, and Wichita is that fireworks must stay on the ground and may not go over 6 feet in the air.